About a month back, our family hired a cook to prepare feast for our guests in a family function. While preparing payasam, the cook used Paccaipayaru (Greengram) instead of Paasip paruppu (Moong dal). Luckily the payasam turned out to be very good and the Green gram Pasayam recipe was born. I tried it again at home and everyone including my kid lapped it up. Such is the story of Green gram Pasayam. Click here to view more Kheer Recipes. 1. Wash and pressure cook the green gram with 1 cup of water for 3 whistles in medium flame or cook until it becomes soft and tender. 2. After pressure has gone, add jaggery syrup and crushed cardamom pods. Mix them well and cook for 3 mins. 3. Then add coconut milk and cook for 2 mins. 4. Meanwhile, heat the ghee in a pan, add cashew nuts and dry grapes. Sauté till they become golden color. 5. Pour this mixture into the green gram mixture. Mix them well and switch off the flame. 6. Transfer it into serving bowl and serve it warm or chill. 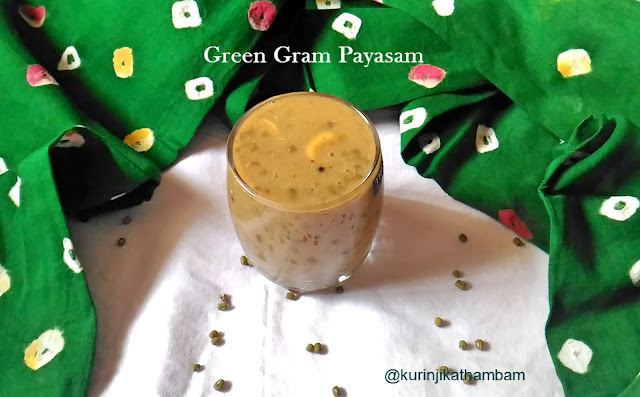 Yummy and healthy green gram payasam is ready ! 1. 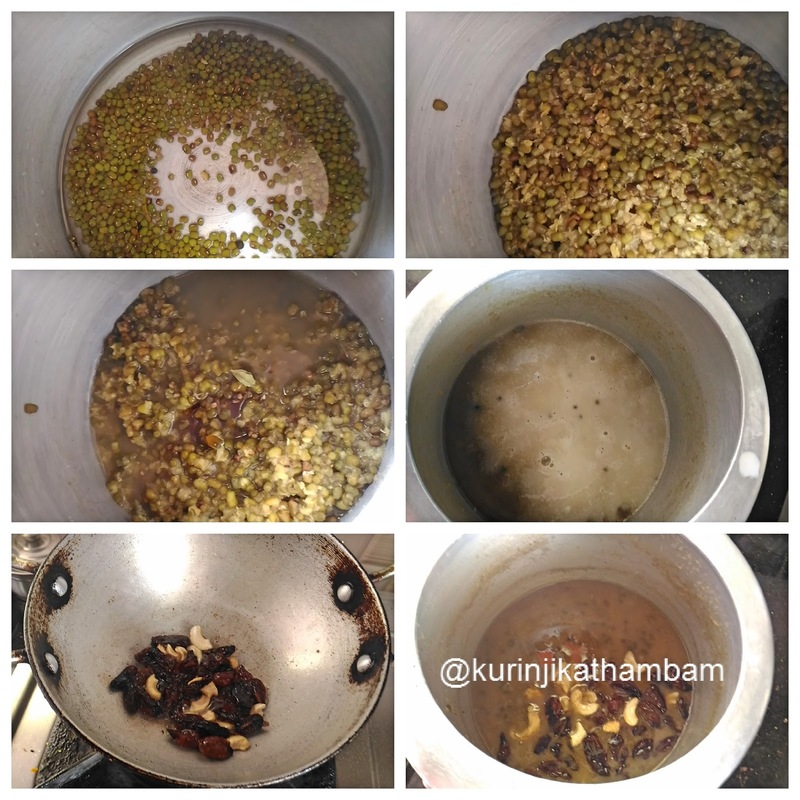 Adjust the water consistency according to the payasam level. 2. Add boiled cold milk instead of coconut milk. But coconut milk gives rich taste. Healthy and yum payasam !! !